'The Real Housewives of Atlanta' star Kandi Burruss explains why she isn't bothered being called a "housewife" on the hit reality show, despite her incredible success as a businesswoman and entrepreneur. Larry King: Do you resent being called a housewife? You’re so much more. Kandi Burruss: You know, I don’t really even care. If somebody calls me a housewife, I mean a lot of times the main thing they say about me our show is that it’s called the housewives but we don’t have any housewives on our show. Like, I’m the only one right now that’s even married on the show. No, this is honest. Larry King: Of all of them, Atlanta is the most successful, isn’t it? 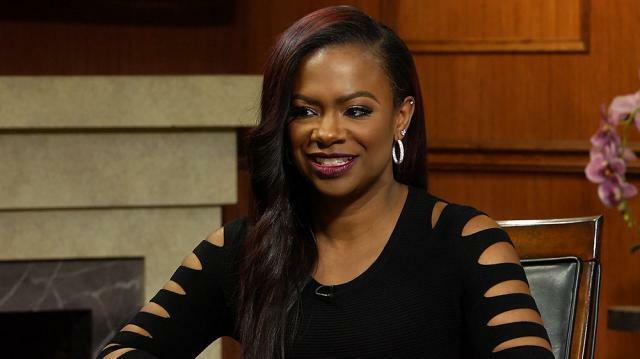 Kandi Burruss: I think… Well we have – we’re the only ones that have a majority African-American cast and I think it’s kind of different for them to see you know African-American women, most of us well to do, and the over-the-top personalities. It’s just a little different, I guess. Larry King: Are you friends with some? Larry King: You don’t socialize with any? Kandi Burruss: Well there were times that I did socialize with some of the girls and we don’t socialize anymore.